One of the goals we have at TIFF is to show the need for everyone to register their emergency contact information, no matter where you live or what season of life you’re in. There is the potential for everyone to need this service somehow in their lives. This week, we spotlight Meme Signor, wife of 15 years and mother of five children, all ages 13 and under. 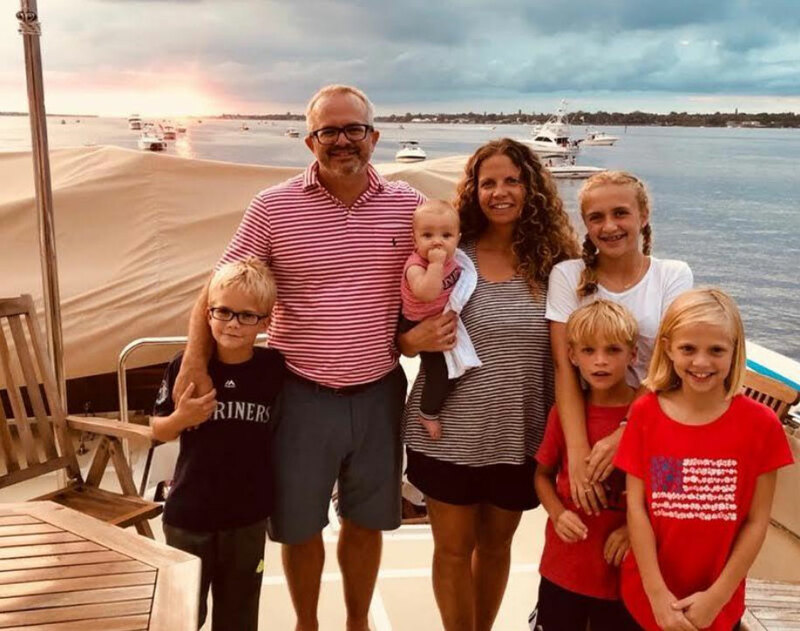 Moving here three years ago from New York state, Meme notes, “the traffic here, in comparison, is so much more intense than it was in our small town.” Meme runs a busy household and often shares driving responsibilities with other parents. It’s not unusual for her to have other kids besides her own along with her in her vehicle, and it’s just as common that her own children may be riding with someone else at times. Most parents with young children can attest to the fact that this is common practice. After all, it takes a village, right? Meme met Christine Olson, founder of TIFF’s Initiative, while walking her dog in their neighborhood one day. They stopped for a brief chat that evolved into Christine sharing her story with Meme. Meme found herself in tears, knowing she would do anything in her power to keep herself from going through what Christine endured that fateful night. Meme registered herself and her husband through TIFF right away, then went a step further, registering her 13-year-old as well and eventually all of her kids. But she hasn’t stopped there. Realizing that accidents happen when we least expect them, Meme is diligent to ask other moms if they are registered with TIFF before letting her children ride in the car with them. It is such a simple, free process that only takes a few minutes to complete- there’s really no excuse. - Who is your emergency contact? Not only should you know who your emergency contact is, it’s important that they know, as well. This person should be someone current in your life who could get to you in the event of an emergency, and who will act in your best interest during this time. - Is everyone in your family registered? If not, take a few minutes RIGHT NOW and register them HERE. Be their emergency contact person, or choose someone you know will be available and able to act right away. -Can you show someone else how to register from their own phone on the spot? Go to our website www.ToInformFamiliesFirst.org and click on the purple “Register” button. Spend less than 2 minutes filling out the emergency contact information. Anyone with a smartphone can do this through their web browser. If you can positively answer all of these questions, you can consider yourself another TIFF ambassador! Not only have you, like Meme, done your due diligence where your own family is concerned, you’re helping show your community how simple it is to register and know that in an emergency, no time or money will be wasted trying to reach the people who need to know.